The Doughnut Coral also called Meat Coral is a round solitary (LPS) coral. It is available in many different color forms from pastel to bright and translucent, to lower cost drab variations. The Doughnut Coral can expand to twice its size for feeding so it will need adequate spacing between itself and other corals. 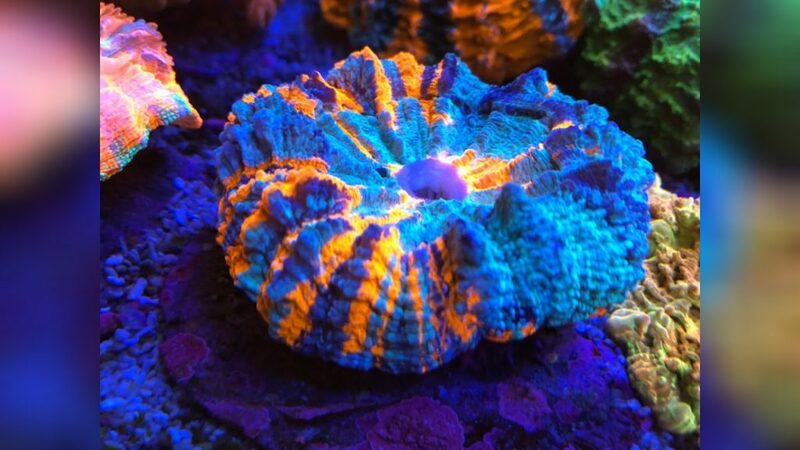 It is easy to maintain the Doughnut coral in the reef aquarium and this coral makes an excellent choice for both the beginner or advanced reef aquarist. 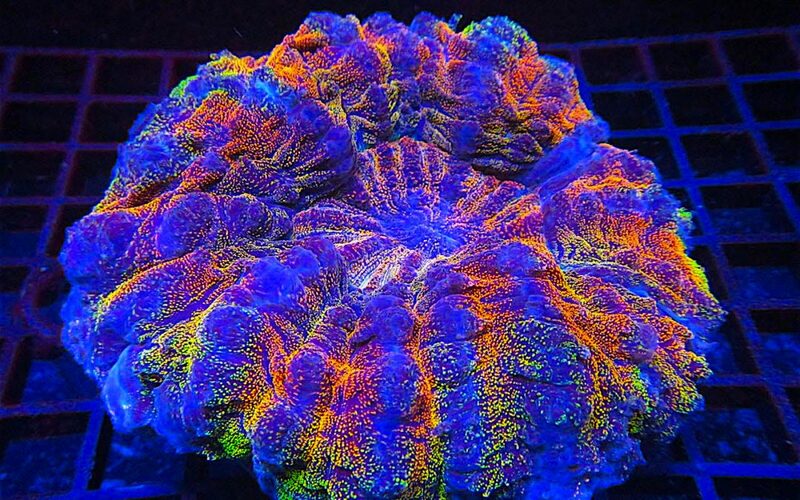 The Doughnut coral requires medium lighting combined with low water movement. For good growth and health feed this coral Micro-Plankton and/or Brine Shrimp at night.